We realize when you come to an air conditioning, heating and plumbing site you are not here for entertainment or leisure. You are here because you want answers and you want them fast. This site and others linked here are very informative, please take a minute or two and check it out! You can also ask your question on our contact page, we will answer quickly! 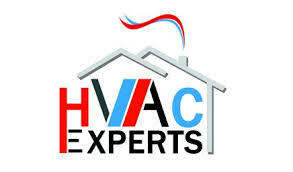 We solve HVAC problems correctly and at great prices. Since 1997 we have been installing and maintaining Air conditioning, Heating and Plumbing systems with experience and integrity. We welcome you to compare us to the rest. We say it all over our website, "you should get at least three estimates". We bid against everyone and folks end up referring their friends and family members to us because of our pricing and installation expertise. Click on our 2018 refrigerated air conversion information. With the humidity up and installations of refrigerated air conversions on the rise we are giving our customers special deals on all conversions. There is a free air conditioning WIFI thermostat offer here! Click This. Thank you for visiting us with your heating and air conditioning needs. Just answer a few questions and we will give you a "ball park" amount to take that swamp cooler away and install a refrigerated air conversion. Yep, simple as that and you don't even need to give us your name if you don't want to! Albuquerque, Rio Rancho, Santa Fe, Los Lunas and Belen, New Mexico heating, air conditioning and plumbing contractor. The number one licensed, bonded and insured heating, cooling and plumbing company. We can replace or service your furnace, air conditioner, condenser, swamp cooler, evaporator coil, refrigeration lines, heat pump, ductless split system or condensate pump. Our customer service is easy, we just do what we would do as if we were working on our own home or business. You can count on us to do a great job on your home or business. We can convert your swamp cooler to refrigerated air the right way. We can do a computer generated Manual J load calculation on your home or business for sizing purposes. Custom-Air, Inc. is licensed through the Environmental Protection Agency for all (universal type) refrigeration products. We are licensed (#81868) for any and all mechanical work, including; plumbing, gas lines, sheet metal, refrigeration and ventilation. We also have many ideas and products to improve your air quality. Some specials and offers not found on our site are posted occasionally on Google Plus and the newsletter. When you can engineer, fabricate and install duct systems as easily and as well as Custom-Air, Inc. cleaning them comes very easy. We know duct systems. Air duct cleaning is an important part of your families health so it's important to us! Your ducts will not just be clean, they will be brushed and evacuated by a negative air machine. We will disinfect and check for leaks and insulation issues that can cause your efficiency to drop. We will check your furnace and AC system operation and air flow. All this is done for the same price as the "duct cleaning only" guys and "carpet cleaning guys" trying to act like duct experts. Don't be fooled by the ones that come out and simply vacuum out your air ducts, get it done right by legitimate duct experts. Call today for a phone quote! We are entering the 2019 cooling and air conditioning season already. Where does the time go? It seems we were just getting your Heater tuned up and all of a sudden it's time to tune up or replace the air conditioner. Make sure your filter is clean, a dirty filter will drive your electric bill up considerably. Those coils on the side of your outdoor unit can be hosed off to make sure everything is clean. Easy stuff and you will see very different bills from those utility guys we all love so much. Also, invest in a programmable thermostat, they do a good job remembering to turn down the air conditioner when no one is home. The Nest thermostat is a bit expensive but worth it! It learns your pattern of living and will adjust your heating and cooling when you forget. Watch the Nest thermostat video on this page for information. Mention this page and visit the rest of our site and get 1/2 off your nest thermostat by the best installers. Go to our Google Plus Page and post something...just say hello! You'll get 1/2 off! We try to have informative stuff on our pages, things like tips for saving energy, specials and equipment longevity. Refer a friend or family member and get rewarded! Custom-Air, Inc gives generous referral fees for your recommendation to the people you know. Just make sure they tell us who you are and that you referred them. The higher the dollar amount of the air conditioning or heating installation job the higher the reward. Many air conditioning and heating forced air duct systems are installed in the concrete foundation slab. Most do the job just fine but sometimes the concrete is not pored properly. The duct systems are supposed to have two inches of concrete pored around them. Water, sand, mud, insects and other debris disintegrate the ducts. Unhealthy air is blowing into the home. The photo to the right is the only way to fix this duct system on a flat roof. Pitched roof homes are a little easier because we can install the heating and air conditioning duct system in the attic. We here at Custom-Air have perfected the techniques used to do these duct systems. If you are unsure about the extent of damage, we can run our duct camera through. Stop your family from breathing in the infected air, call us today for your free estimate.